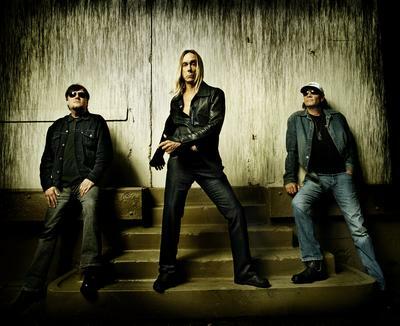 Posted on Fri, Feb 11, 2011 : 4:57 p.m.
Iggy Pop will return to Ann Arbor with his band the Stooges to play the Michigan Theater in a special concert tribute to the late Ron Asheton, the Stooges' original guitarist. Just announced by LiveNation, it's the homecoming show of a punk fan's wildest dreams. The concert is set for 7:30 p.m. Tuesday, April 19. Tickets —Â $59.50 & 39.50, plus limited premium seating also available — go on sale at 10 a.m. Friday, Feb. 18. Henry Rollins will perform and act as MC; Deniz Tek and other acts to be announced are also on the bill. Remarkably, over the years the Stooges have become international legends, but it certainly didn't start out that way. The band — Iggy Pop, Ron Asheton, Scott Asheton and Dave Alexander — formed in 1967 in Ann Arbor and — with their primal, energetic sound — are often considered the first punk rock band. The band found little commercial success and broke up in the early 1970s, but over the years its influence grew while Pop became a solo star. Rolling Stone placed Asheton at No. 29 on its list of 100 greatest guitarists. In recent years the Stooges reunited for concerts and a new album, with Mike Watt taking the place of late bass player Dave Alexander. Ron Asheton — who had continued to live in Ann Arbor — spoke to The Ann Arbor News about the reunion in 2007. But in early 2009 he died at his home at age 60. 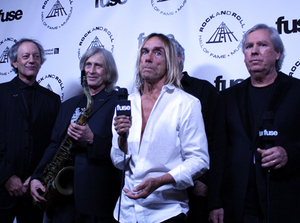 Last year the Stooges were finally inducted into the Rock and Roll Hall of Fame, while Pop led off National Public Radio's project on "50 Great Voices." Since Ron Asheton's death, Iggy and the Stooges have continued doing concerts, with James Williamson — who played guitar on the Stooges' third album, Raw Power, with Asheton on bass — taking Asheton's slot. This will likely be the lineup at the Michigan Theater tribute to Asheton. The concert is organized as a benefit for the Ron Asheton Foundation. Tickets go on sale Friday, Feb. 18 at 10 a.m. at ticketmaster.com and all Ticketmaster locations, or by phone at 800-745-3000. Keep watching AnnArbor.com for lots more coverage as the concert draws near. Fri, Feb 11, 2011 : 10:28 p.m.
Iggy Pop. nuff said. RIP Ron. Fri, Feb 11, 2011 : 10:13 p.m.